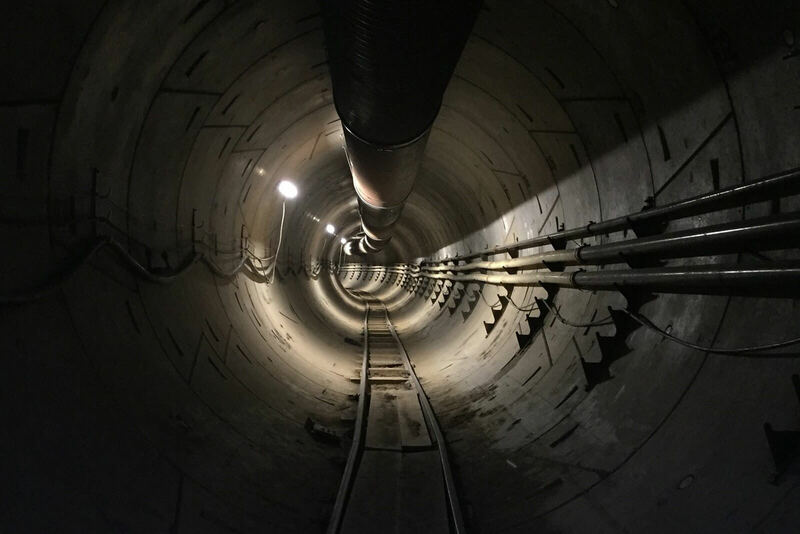 Elon Musk has released a time-lapse video showing the first tunnel in a network that’s being built under Los Angeles by his Boring Company. In an Instagram post, the Tesla boss said the tunnel was almost done, and pending final regulatory approval, members of the public will be able to enjoy free rides in just a few months. It was back in December 2016 when Musk tweeted about the frustration he felt toward traffic congestion. “Traffic is driving me nuts. Am going to build a tunnel boring machine and just start digging...,” he wrote. “It shall be called “The Boring Company.”” The tweet followed Musk’s earlier comments on the advantages of tunnels, calling them a “simple and obvious” way to fix excess traffic. While the tunnel’s “demo system rides” are free, people will eventually have to pay to travel in the pods, though Musk said the price for pedestrians and cyclists would be lower than a bus ticket. Cars can also travel, but priority will be given to those on foot or with bicycles. The system is based on “autonomous electric skates traveling at 125-150 miles per hour,” with each vehicle carrying 16 passengers. The test tunnel has an entrance in SpaceX’s parking lot in Hawthorne and heads toward LAX.